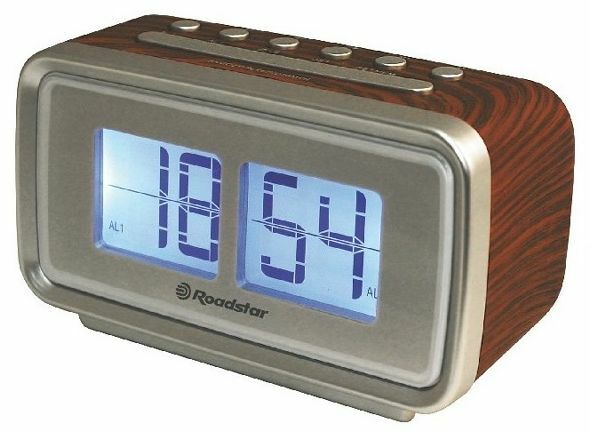 Retro design radio alarm clock. FM PLL Radio. Wake up by Radio or Alarm. Dual Alarm. Sleep Snooze functions. Battery Back up memory. Date calendat function.